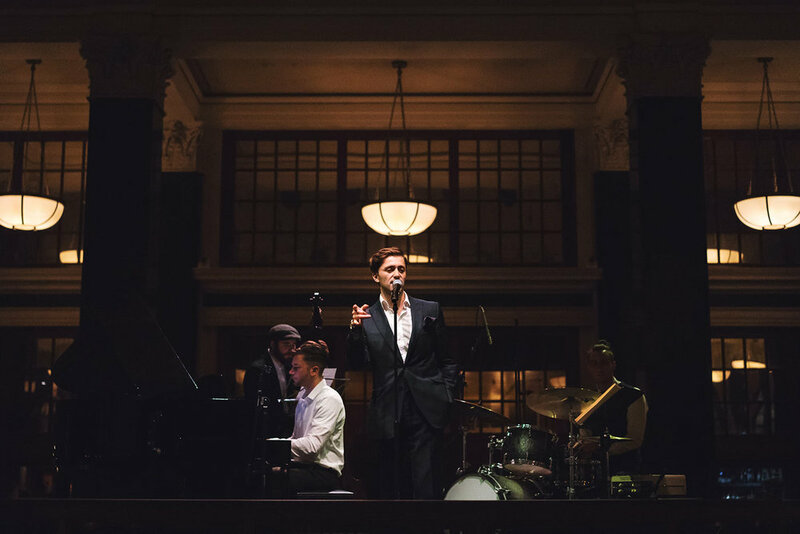 London’s favourite Jazz Trio led by Leon will charm you and your guests with an unforgettable night of swing, soul and jazz. If you’re looking to inspire an atmosphere of smooth, old-fashioned Hollywood glamour and class, the Leon Jazz Trio is the perfect choice for your occasion. The trio comprises lead vocals, piano and double bass. Drawing from the swing and bebop eras of jazz, the band perform an eclectic mix of standards from the Great American Songbook made famous by the likes of Sinatra, Bobby Darin and Tony Bennett, along with timeless classics from the world of MGM musicals. This jazz band currently enjoys residency at some of London’s most prestigious venues including The Arts Club, Annabels and The Ned, as well as a continued partnership with Badrutts Palace in St Moritz, Swizterland.